Bangladesh has suffered a blow before the one-off test against India. 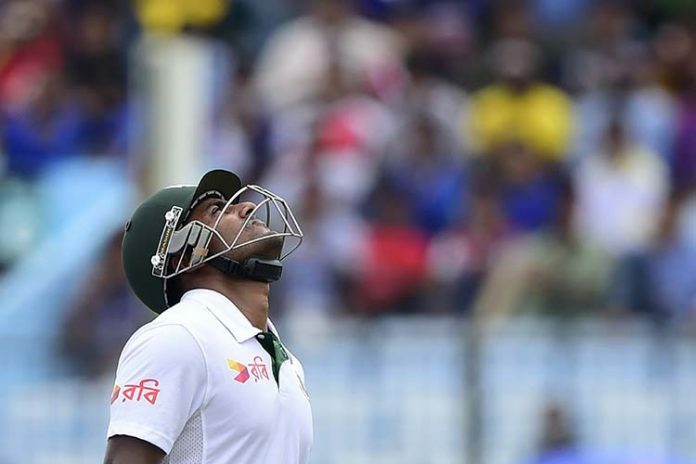 Opener Imrul Kayes has been ruled out of the match with a recurrent thigh injury sustained during the second day’s play of the two-day practice match against India A at the Gymkhana Ground. Team physio Dean Conway said: “Imrul has hurt his left thigh during fielding today. It is a recurrence of the thigh injury he had suffered last month in New Zealand. As there is just 48 hours left before the start of the Test therefore he is not considered fit to play. He will return to Dhaka tomorrow (Tuesday) to begin rehab. Uncapped batsman Mosaddek Hossain Saikat has been named as replacement for Imrul. He will join the squad in Hyderabad on Tuesday.